Booking a flight home for the holidays or want the best deal on that trip to Miami for your BFF’s bachelorette weekend? We hear you. 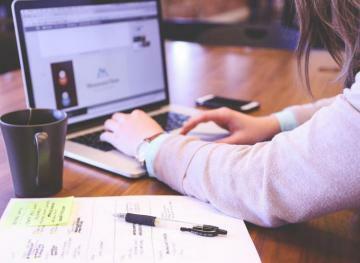 Not only can it be difficult to know when to book, but it’s also not always the easiest to check flight prices every day. That’s where Hopper comes in. The Hopper app is a must for anyone looking to book the best flight deal ASAP. 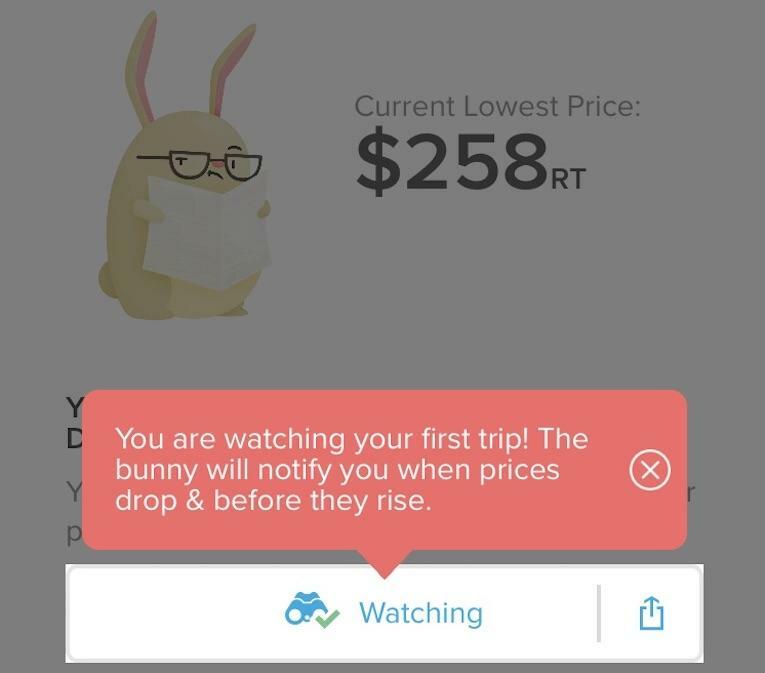 Not only will it monitor flight deals daily, notifying you when the price has dropped, Hopper will also let you know when you should book your flight. It also offers travel tips, flexible date searches and more. With holiday travel season upon us, we decided to test out Hopper ourselves. Here’s what we found while using the app. Before you download Hopper, know the basics. It’s free and available for both Apple and Android users. You can easily select your departure city and destination city. This becomes your trip. You choose whether you’re looking for a round-trip or one-way flight. 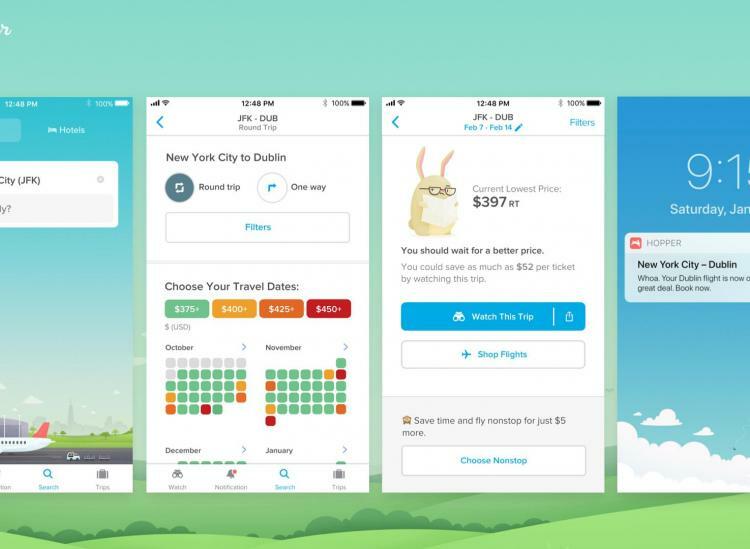 Hopper will watch all flights for your trip and monitor prices for it, sending you push notifications for current lowest prices. The app will also tell you when you should book your trip by. You can filter out flights that have layovers, as well as ones that are considered “basic fares,” AKA cheaper flights that also have restrictions and/or fees on seats, bags and more. 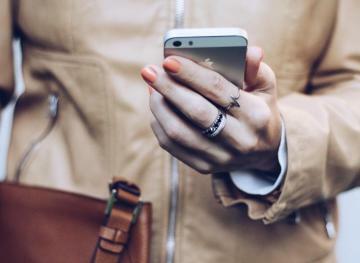 When you’re ready to book, you’ll be able to see all of the important details like departure and arrival times, cancellation policies, extra fees and charges and more. You can book your flight, plus flights for anyone else, right in the app. 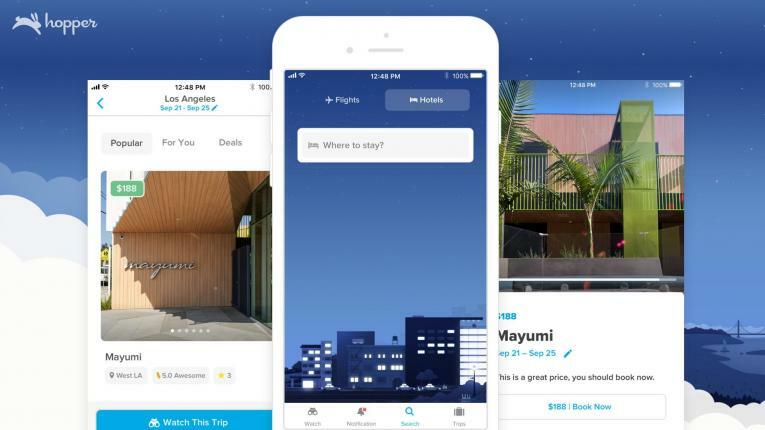 Hopper helps you book at the right time. Right after you type in your trip info, you’ll see the current lowest price for your flight. But the best part is the next line down on the page in the app — it tells you the exact date that you should book before in order to save money. For example, we searched for a round-trip flight from New York City to San Francisco for December 22 to 26, 2018. The current lowest price was $649. The app told us that it hasn’t seen a price that low in the last three months, and that we should book ASAP. We changed the date range to January 13 to 19, 2019, and saw the current lowest price drop to $258. This time, the app also suggested we wait a little for the best price, but that we should book no later than December 24. Pro Tip: Look at the colors of the dates. Green means it’s the lowest price, yellow is one step up in price, orange is even more expensive and red means it’s going to cost a pretty penny. Once you know which trip you want Hopper to watch for you, just click on the “Watch This Trip” button and it’ll notify you when the flight goes down in price. It even notes how much more you could save by watching this trip before booking. For our January flight, it said we could save up to $69 per ticket if we waited and watched. Book your hotel with Hopper, too. If you’re flying somewhere, you’ll most likely need a place to sleep. Hopper’s got you covered with the hotels side of the app, which works the same way that the flights feature works. Once you choose the city you’re staying in and the dates, you can view multiple hotels courtesy of TripAdvisor. You can filter them from lowest to highest price, or vice versa, as well as look at what’s featured. Once you think you’ve found a hotel you want to stay in, start watching it by clicking on the green “Watching” button. Hopper will then alert you when the price per night for that hotel drops. Pro Tip: Be sure to click on the pin drop icon in the top right corner so you can look at the map of the city you’re visiting and where the hotel is located there. You’ll want to make sure you choose a hotel you feel comfortable staying in, as well as one that’s close to all of the attractions and restaurants you plan to visit. Get a good deal with Hopper at any time. The last super cool part of Hopper is that you can see flight deals for other cities at basically any time. On the Hopper website, you can look at popular destinations like Paris, Miami, New York City and more, and then look at flights that are low in price and available for booking right now. It’ll also show you when the best time to fly is based on prices. For instance, when we selected Paris, Hopper told us that in December 2018, we could get a round-trip flight for just over $300 from New York City. As we scrolled down the page, Hopper also informed us that the best month to fly from New York City to Paris is February because prices are often the lowest at that time. It also told us that the best day to fly to Paris is a Monday. When it comes to saving money, flights and hotels can make it tough. But armed with Hopper, we have hope that we’ll always get the best deal.